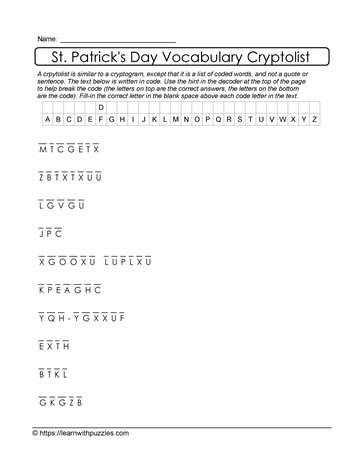 This vocab building St. Paddy's Day cryptolist is sure to engage students, while making learning fun. Supports students in grades 3-8 classrooms, and home schoolers, this cryptic puzzle is a great way to activate problem solving skills, word structure, context, and themed vocabulary knowledge. HINT provided in the grid at the top of the page.